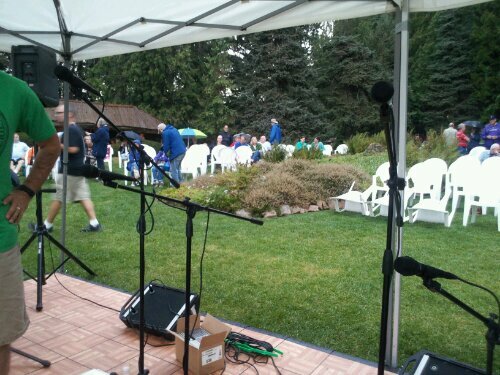 We had a great concert at Ohme Gardens just outside of Wenatchee last week. 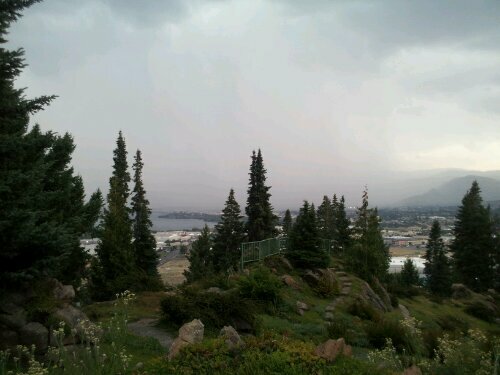 We were a little worried by the thunderstorms passing through, as lightning flashed overhead while we set up our sound equipment, but our audience turned out in force with umbrellas and blankets and the evening ended cool and beautiful, with incredible views across the valley. Thanks to everyone who came out, and we’ll see you at Tumbleweed! 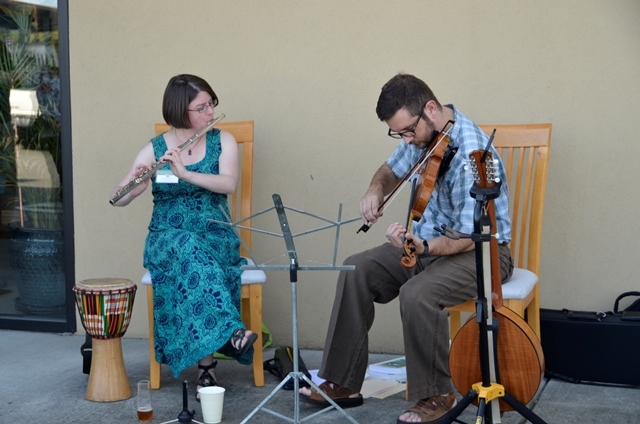 Most of our playing this summer is at farmer’s markets, but Jon and I are also enjoying playing as a duo during art receptions at Ornamental Arts Gallery in Smokey Point. This is a great new gallery full of local arts and crafts, with a reception for featured artists on the first Friday of each month. This coming Friday, August 3rd will be a reception for friends of ours, potter and ceramic artist Marguerite Goff and pastel artist Janet Hamilton. Come enjoy wine, food, music and great art! 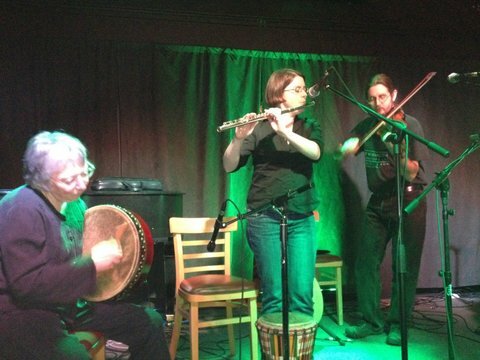 Our St. Patrick’s Day show at Caffe Mela was great fun as always! Nobody’s instrument self-destructed this year, and our new songs went well. Thanks to everyone who came out, and Caffe Mela for having us back. Also to Hank Langeman for sending us photos of our performance! It’s hard to take pictures of ourselves on stage. Jon and Jessamyn did a set at the opening of the Pleasant Ridge Gallery at Rexville spring show and will be doing another one on April 21st. 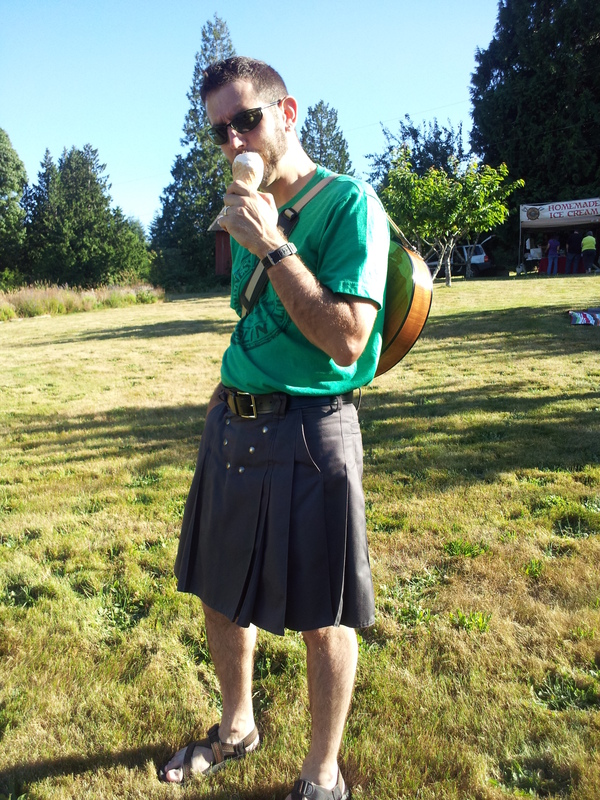 Then we have a few farmer’s market gigs planned for the summer, check our schedule page for details. Hopefully we’ll be adding some more shows soon, stay tuned! 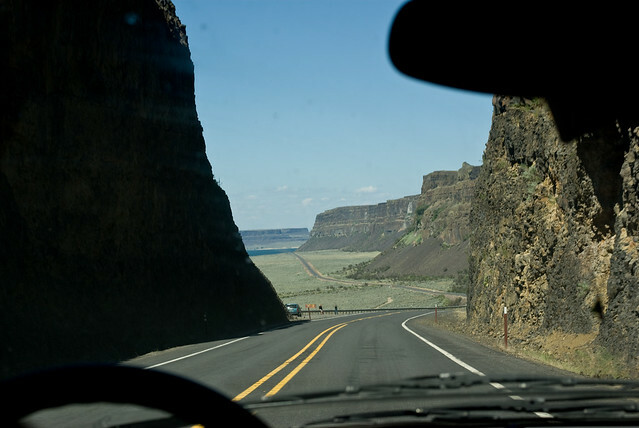 …and the dam spillway was open, producing a wall of white foam and a huge roar that pervaded everything throughout the canyon. I can honestly say we’ve never played a gig quite like it. 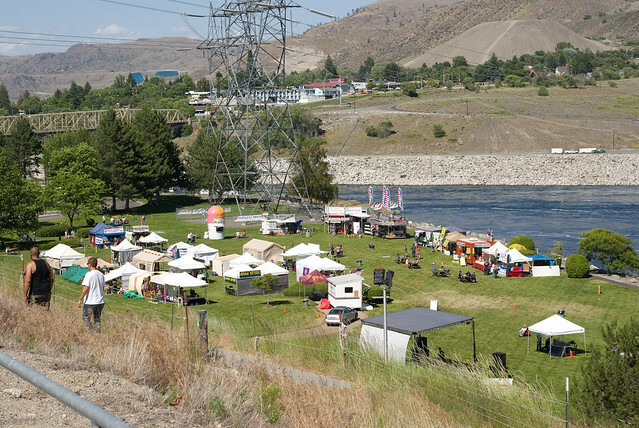 We have an interesting last-minute performance coming up: we’ll be playing at the Festival of America at Grand Coulee Dam on Sunday, July 3rd! 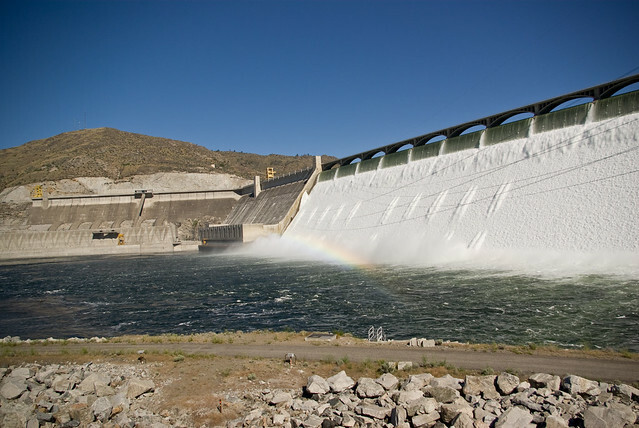 Our slot is from 6-8 pm, followed by an Elvis impersonator, then the nightly laser light show on the dam. If you happen to be vacationing in the area, stop by for some food and music! St. Patrick’s Day at the Empire Alehouse was a lot of fun, thanks to good friends who came to hear us and a large contingent of folk dancers who made the loft shake all evening. A little strange having our main audience behind us, but everyone seemed to have a good time! Thanks to Rich Dustin for letting me steal the photo from him. 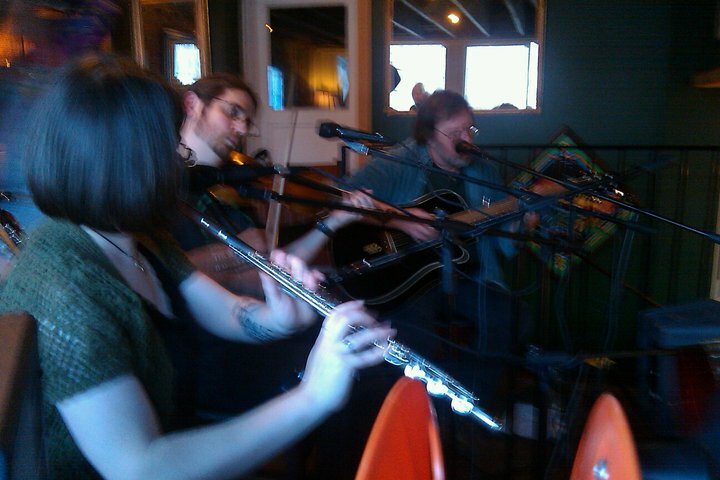 Many thanks to everyone who came out last Saturday to see us at Caffe Mela! It was a great first show of the year, and we’re off and running for the season. 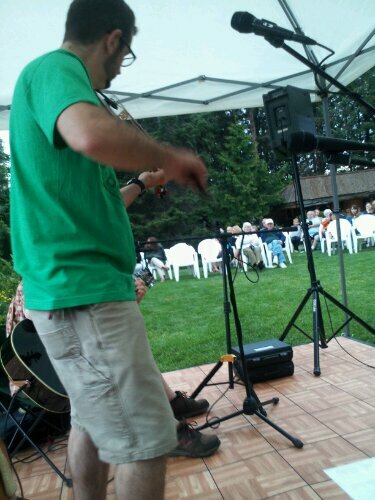 It was a little overly exciting to have Jon’s fiddle bow lose all of its hair at once during the first tune set – good thing he had a backup. I’ve never seen a bow do that before. 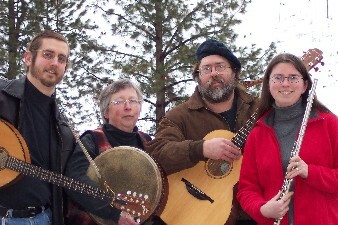 Coming up next: Saint Patrick’s Day at the Empire Alehouse, 7 pm this Thursday! We have three gigs planned so far for this spring, we’re working on some new material, we bought new speakers and new fiddle strings, and we’re looking forward to playing music again. I’ll be sending announcements out to our email list as events approach – if you’d like to be on our list, just drop us a line. And don’t forget our Facebook page! Greetings from the band! We had our year off, and it was quite lovely and relaxing. We’re planning to get back in the saddle in the coming year, but some budget cuts are in order, and web hosting was one of the casualties. So welcome to our shiny new (free) WordPress website! We’ll also be maintaining a Facebook page, so you can choose how you’d like to follow our exploits.